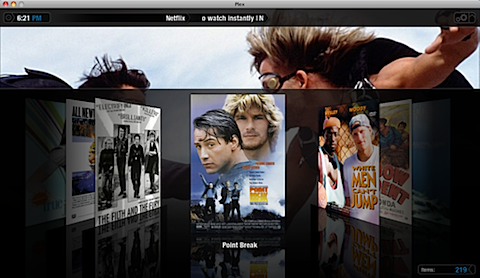 Plex media center software for the Mac OS X platform now can add support for Netflix movie streaming service. The add-on was developed in response to continuous requests from users, and as shown in the pictures below, it looks very beautiful and will fit a HTPC environment perfectly. 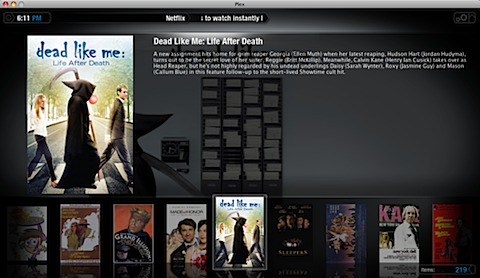 Plex is a port of XBox Media Center for the Mac OS X platform. 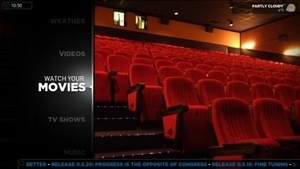 Originally an XBox media player, Plex has grown to be a sleek looking and feature rich Media Center application. It plays pretty much every media file you can throw at it. Plex is designed to run in fullscreen on the living room TV, but works well in windowed mode on your computer display too.